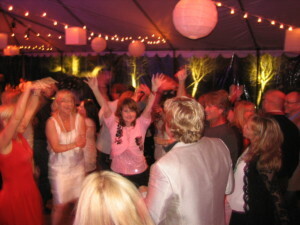 Santa Barbara Event Professionals and Santa Barbara Wedding Professionals entertained 60 guests for Cat’s 50th Birthday Party at Demetria Winery in Los Olivos, CA. Special thanks to Jennifer Waye at Demetria Estate. The Estate property is a spectacular location for weddings, corporate events, and private catered dining. Events by Philippe, led by Philippe Sautot, took charge as event planner and caterer. 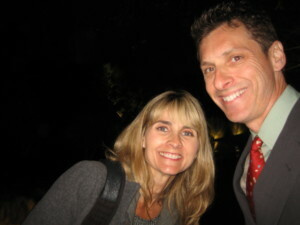 Phillipe is also known for his Wedding Planning Santa Barbara. 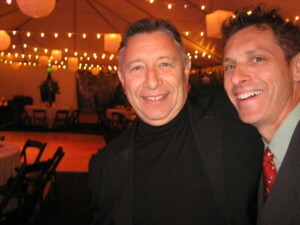 Philippe chose Scott Topper’s style of Southern California DJ Entertainment. As a Santa Barbara Wedding Planner, Philippe knows that planning the most memorable day of your life is very important. With you in mind, your vision, your personality, and sense of style, he will help you achieve the wedding of your dreams. Need a wedding coordinator Santa Barbara style? Philippe will listen to you and work with you. He stimulates your imagination with an incredible array of vendors who provide superior services and expertise.Events by Philippe is among the top Santa Barbara Wedding Event Planners in the business. He creates an event that is unique to each individual client. Working within your budget, he will pamper your guests and conveys the images you want them to remember. Events by Philippe has gained a tremendous reputation as a wedding coordination company. His approach emphasizes simplicity, elegance, and strict detail-oriented planning. Also among the vendors on Saturday night was Bella Vista Designs, based in Santa Barbara, CA. Bella Vista Designs is also a member of the on-line wedding resource directory, Santa Barbara Wedding Services. Great job Trevor! 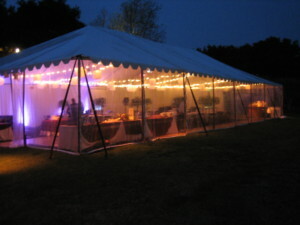 If you are planning a Santa Barbara Wedding and need event rentals, consider Classic Party Rentals. They provided an amazing tent on Saturday night! Special thanks to Nicole Charuvastra. Rebecca at Central Coast Industries, a Preferred Portable Toilet Rental Company for many Santa Barbara Weddings, provided quality portable sanitation equipment supported by exceptional service. The flowers and centerpieces were beautiful and designed by Camilla Svensson Burns of Camilla Flowers. She specializes in floral design for Santa Barbara Weddings and special events. Stephanie from Vita-Bella Photography was hired to capture the DJ entertainment dance floor action! She has been photographing weddings, engagements and families in California for more than ten years. She works quietly to capture the beauty of the day. Santa Barbara Airbus was the official chauffeur to pick up and transport cottage guests. LunaBella provided on-location beauty services. Based out of Santa Barbara, CA, they serve the Bay Area, Central Coast and Southern California. Their artists come on location and travel to wherever needed including Santa Ynez Weddings. They are all Professional Make-up & Hair Artists that have years in the field. LunaBella provides the best product & the best make-up/hair artists for special events.